Digital health and innovation strategist John Nosta talks about the need for medical technology companies to stay true to their technology roots and not get too attached to the "patient centricity" bandwagon. Also: innovating organically and "failing smart." Nosta will offer a keynote address the MedTech Association's annual meeting in Syracuse, NY, on Nov. 14. The meeting runs Nov. 13-14. 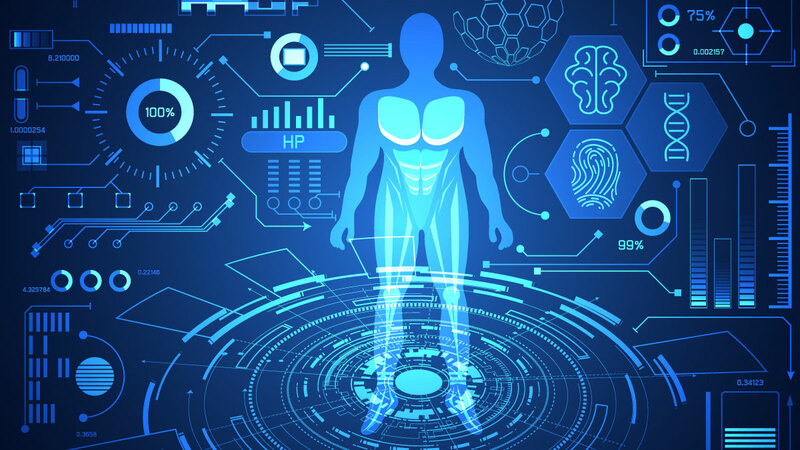 But while there is no question the paradigm for health care is undergoing massive change, medtech firms shouldn't forget where their real expertise lies, argues digital-health specialist John Nosta. "As much as these companies want to say, 'We are the consumer-centric company,' they’re not hiring hundreds of social scientists," Nosta pointed out. "They’re hiring technicians and engineers and scientists. And I believe that is their single focus: the application of the exploding technological world to advance science in medicine." "Do the life-science industries want to do battle with the retail giants? And, more importantly, is that a battle that they can win? I think the answer is, no, they can’t win that battle." Nosta is an important voice in the world of digital health and, more generally, on modern approaches to innovation and brand-positioning in the life-sciences. He is the founder of NostaLab, a digital-health think tank that offers strategic consulting and other services. He is also a member of the Google Health Advisory Board, writes blogs on innovation and digital health for Forbes and Psychology Today, and will be the keynote speaker at the annual meeting of the MedTech Association, which represents device and life-science companies in New York state, in Syracuse, NY, next month. He spoke to Medtech Insight in advance of that event. Nosta is, no doubt, an enthusiastic champion for digital innovation. (He has previously referred to himself as a "digital-health evangelist" though, he says, "technology theorist" is a better way to describe what he does.) "We are at an inflection point in human history that is profoundly transformative," he said. "And those changes are largely a function of tech and of health; the health-tech movement has been defined as being bigger than that of the personal computer." But just because there's a revolution happening doesn't mean the fundamental culture and focus of a company should, or can, change, he suggested. For device companies, and other life-science firms, it's certainly important to be focused on improving patients' lives, but the best way to do to that is by developing breakthrough technology rather than funneling too much investment in trying to figure how to engage more directly with patients. "Do the life-science industries want to do battle with the retail giants? And, more importantly, is that a battle that they can win? I think the answer is, no, they can’t win that battle," Nosta said. Technology innovation and retail innovation are separate things, but "somehow we tend to lump this together into one business-technical mishmash," he noted. "The ubiquitous phrase 'patient centricity' seems to haunt the halls of life-science companies. And they all look to be, quote/unquote, 'like' Amazon or 'like' Apple, and I think that’s a tragic mistake," Nosta said. "Does Medtronic really want to be a consumer-centric company, a consumer device company, a consumer marketing, consumer goods company?" he asked. For medtech companies, "patient centricity is important, but it’s not your focus. It’s not your mission statement. It is one of many aspects that define the company." This also translates into how companies are marketing themselves to the wider public. Companies should emphasize the specific diseases they treat and the technologies they develop, rather than more general, less differentiated messages, such as patients "getting their lives back." "I find the life-science companies and the device companies create this sort of soft patient centricity, which I don’t think serves their goals as well as it could," Nosta said. It is also important that companies stay true to their fundamental strengths and culture as part of their internal innovation efforts. One trend among device and drug firms is to create internal "accelerators" as a strategy to incubate new innovations in an environment that is a bit removed from the standard corporate business divisions. Some view it as a way to bring a little more of a "start-up" feel within larger companies. J&J, for instance, has made a big push in this direction. But Nosta warns that this approach is not likely to be fruitful if a company does not think critically about its very specific needs and goals. "The whole idea around an accelerator is to innovate," he said. "But many accelerators are copying models of the ... 'other company' to facilitate a process that sometimes feels contrived." The structure of a company accelerator, he noted, "must be very unique to the external objectives of the company, but also – and this is almost more important – it has to be unique to the internal needs in that given organization." Companies should approach creating accelerators, or innovation zones, "like a mixing board at a recording studio" to ensure the it includes the right elements. "All of device company accelerators should not be the same because the companies are not the same," he said. "Some companies are intrinsically more science-focused. Some companies are intrinsically more patient-focused. Some are more intrinsically creative." 1. "Fail smart." "I think the idea of 'failing fast' is a very sort of relevant and contemporary idea, and I believe it’s probably better articulated as saying 'fail smart.' Because I think that failing fast is, in parts, a certain sort of pressure that could impede success. There’s a curve that’s called the Yerkes-Dodson curve. The idea here is that there is an optimization. The amount of pressure that I put on a system to succeed is not linear. In other words, the more I pressure you to get your story done, the faster it’ll get done, to a point, and then you’d come crashing down. It’s a very simple bell curve. We have to fail smart and not just fail quickly." 2. Walk the digital walk. "When I give talks, I ask a simple question to many of my audiences, 'How many people in this room have used telemedicine?' The people in the audience are largely looking to innovate and change, and they talk the talk, but do they walk the walk? Have brand teams developed internal apps to help drive communication or the trafficking of an internal job? Probably not. How many of them have used telemedicine just to try it, just to get their feet wet, and understand the application of technology in the real world? Very few. I think it’s the culture. As much as [people in industry] say, 'We need to be innovative,' or they may echo what senior management says, I still think they’re lagging in many ways." 3. Tech is not optional. "Data is the third fundamental window into humanity. The first was the telescope, the second was the microscope, and the third is big data. The rate at which data is coming into our system, our society, ourselves is something that humanity cannot assimilate. I mean, look, if you’re a clinician, can you keep track of new treatment guidelines? Can you keep track of clinical trials that your patient may benefit from? Can you keep track of consumer-centric trends around providing optimal care for your patients? It’s not virtually impossible; it is impossible. And the only viable solution is technology."